Although Mongolians were relying on the pastoral economy up through the early 20th century, there were about 20 coal and gold mines operating in Mongolia by 1911. However, after the 1921 revolution, Mongolian leaders came under pressure by the Soviets to follow the communist ideology exclusively. From a communist ideological perspectives, Mongolian herders were potentially considered as a part of the capitalist class because herders own livestock. Therefore, it became imperative for the newly-declared communist state to establish a working class. This pointed to the mining sector as a possible path for “creating” workers. Mongolia was sparsely populated. The population was 845,500 in 1956 and increased to 1,017,100 by 1963. Livestock and pastureland were under the state authority. Religion was prohibited; therefore, it was impossible for the public to advocate their tradition of worshiping the nature, especially, mountains and rivers. Mining was considered as a priority for developing the industry. Because of these positive factors, there was no room for mining-related social conflicts in Mongolia. At the same time, the state was publicizing (advocating) the public benefits of developing the mining sector and reliance on natural resources through the arts and cultural policies. Under the state policies, poems, songs, stories, and novels about rich mineral resources, mining and geological works, prosperity and development from mining, and successes of miners were reflected in Mongolian language and Literature curricula for secondary and high schools. Also, many documentary films, movies and dramas were created for this purpose. This contributed to create a positive image of mining and geological activities. Many of these movies are still on “favourite movie lists” of Mongolians. For instance, in 1961, the movie, Алтан өргөө [Golden Palace], was co-produced in collaboration with East German producers. This movie contributed to public knowledge about subsoil mineral resources and efficient usage of water. 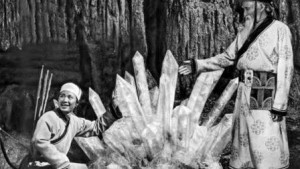 The geological exploration process was depicted in the 1962 movie – Түмний нэг [One of the Thousand]. The movie showed how mineral resources were discovered with the foreign assistance. Lately, one of the scenes, the snow storm, is widely circulated among Mongolian tweeters and facebookers. In this scene, two German geologists were arguing their tents during the snow storm while Mongolian guides wondering about their heated debate since guides didn’t speak German. Rudolf: [it is] nice to have abundant natural resources, but they are far away from the prosperity. To make this state as a real state and people as real people, it would need 100 years of hard work. Max: Once they succeeded, this country would go more further. Rudolf: But, they need nationalism and raise their national spirits. Listening to this conversation, a Mongolian fellow suspected them belittling about Mongolia. The other movie came around in 1981. J Buntar’s “Гэрлэж амжаагүй явна” [Not Yet Married] film featured the image of mining engineer Gansukh while presenting the mining construction and managerial challenges of young engineer. This movie clearly aimed to attract youth into the mining sector as newly emerging industry. The newly-established mining sector, at some point, led Mongolians into modernity [many new aspects were introduced into Mongolians’ livelihood]. The new lifestyle of miners, mining towns, and mining labor forces were created. Evidence of these mining-related social influences include many monuments for miners and even naming secondary schools after famous miners. In addition, the state created special medals, awards, and merit-decorations for miners and set up new social protection mechanisms for them. In sum, Mongolian communist leaders used propaganda to actively create a positive image for mining during the communist regime. Dr. Enkhbat is associate professor in the Department of Humanities of the School of Business Administration and Humanities of the Mongolian University of Science and Technology. His special areas of interests are history of Mongolian mining and comparative examination of mining history of Mongolia and Inner Mongolia. 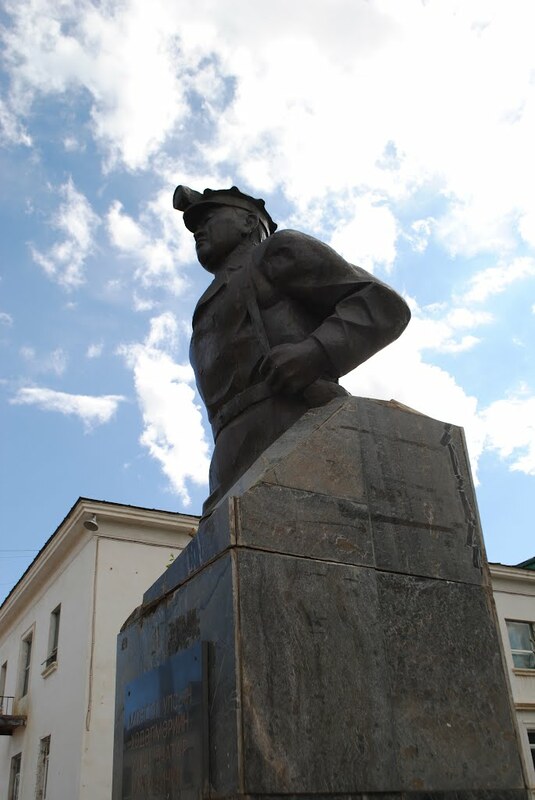 This entry was posted in Cinema, CIRDI, Enkhbat Avirmed, Media and Press, Mining, Mining, Mining Governance, Pop Culture, Society and Culture and tagged construction of socialist mining image. Bookmark the permalink. Sorry that I am reading this blog post a couple weeks after it was posted. It’s fascinating to read about the cultural promotion of mining during the socialist period. Thank you, too, for providing links to old movies that feature the mining theme. You suggest that the positive promotion of mining was both a way to create a worker class, and also a means to limit mining-related social conflicts. In your studies, have you found evidence that there was resistance to mining during the socialist period? I wonder why leaders at the time worried that conflict might emerge.